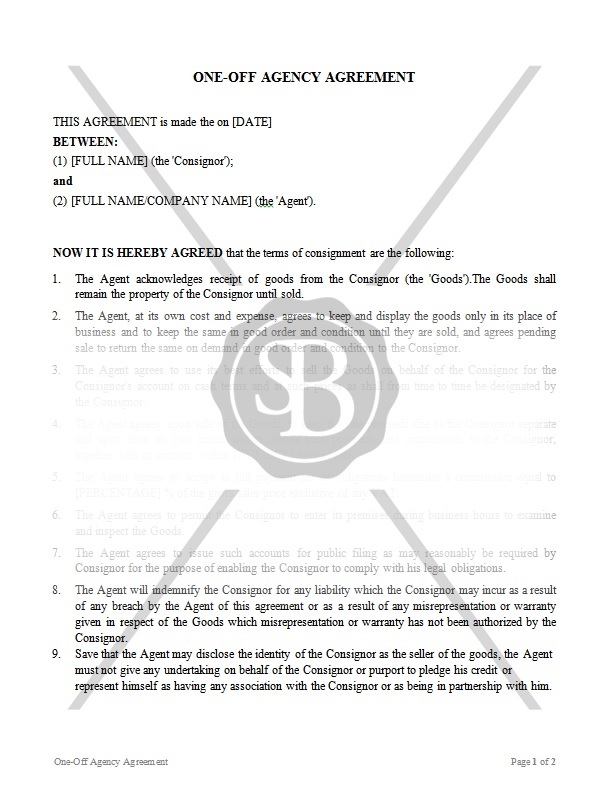 This Agreement is concluded between the Consignor and the Agent. The Agent acknowledges receipt of goods from the Consignor. The Goods shall remain the property of the Consignor until sold. The Agent, at its own cost and expense, agrees to keep and display the goods only in its place of business and to keep the same in good order and condition until they are sold. The Agent agrees to accept as full payment for its obligations a commission equal to certain percentage of the gross sales price.